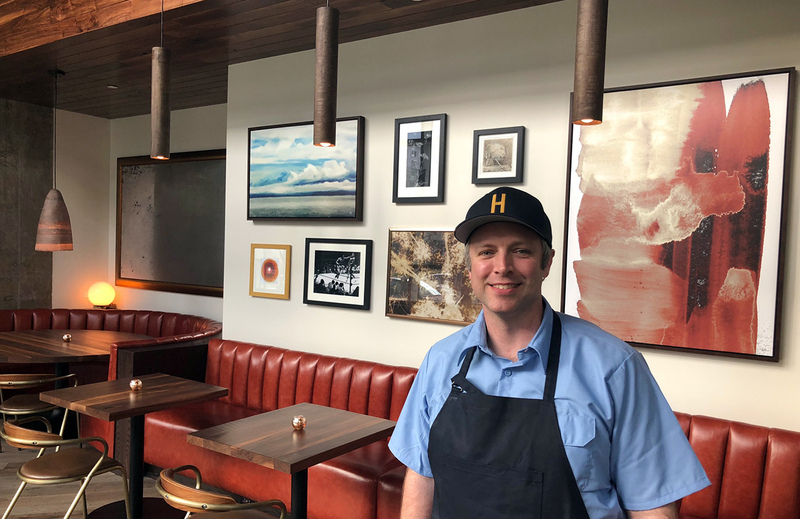 Haymaker, a farm-focused restaurant led by a well-respected chef from Asheville, is targeting a grand opening on Monday, March 26, in Uptown. 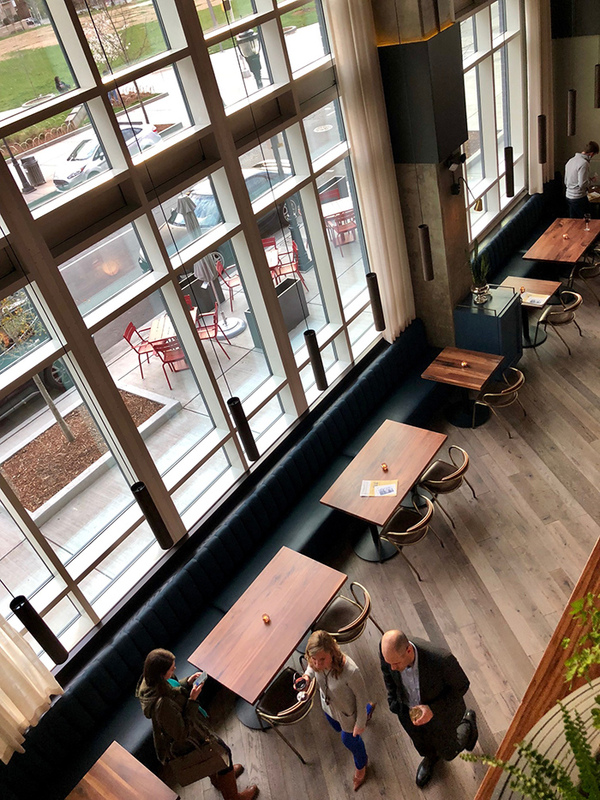 Haymaker will be located on the ground floor of the Ascent apartment building in Third Ward next to Romare Bearden Park. Chef William Dissen, known for his restaurant The Market Place in Asheville, is the chef/owner behind the concept. His track record is legit and the foodie crowd really respects him. Hours are 7 a.m. – 2:30 p.m. and 5 p.m. – 11 p.m. on weekdays and 10 a.m. – 2:30 p.m. and 5 p.m. – 11 p.m. on weekends. 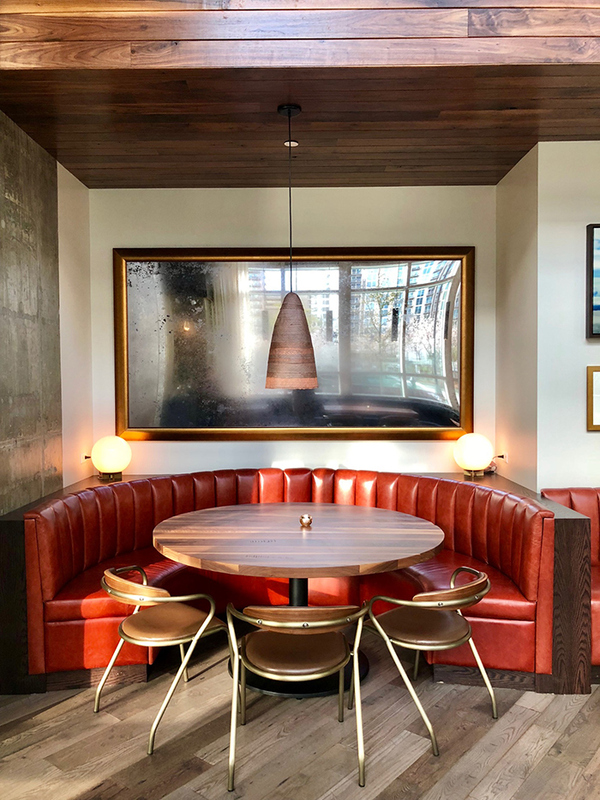 Haymaker will use OpenTable for reservation options, which will go online to the public later this week. 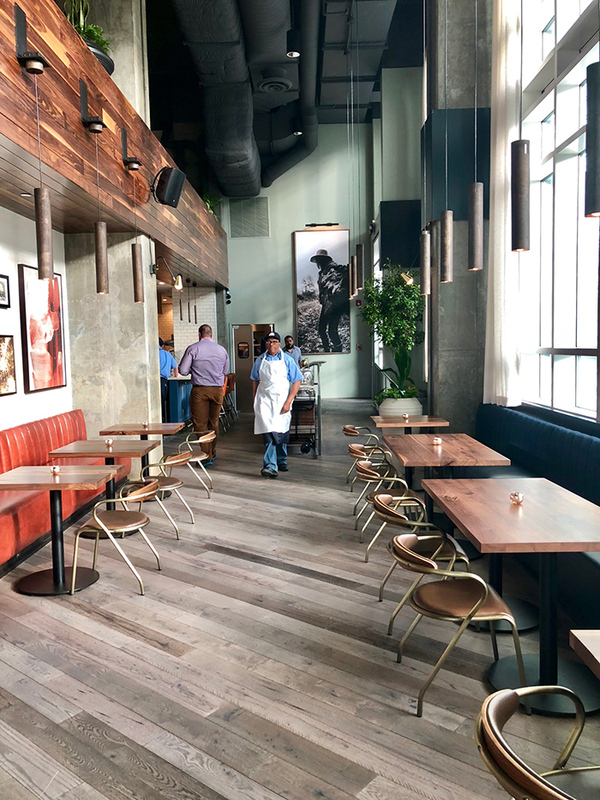 Haymaker will offer breakfast, lunch, dinner and weekend brunch. Honestly, I thought pricing would be higher given Haymaker’s location. Breakfast will feature grab-and-go options like house-made pastries, biscuits and bagels. 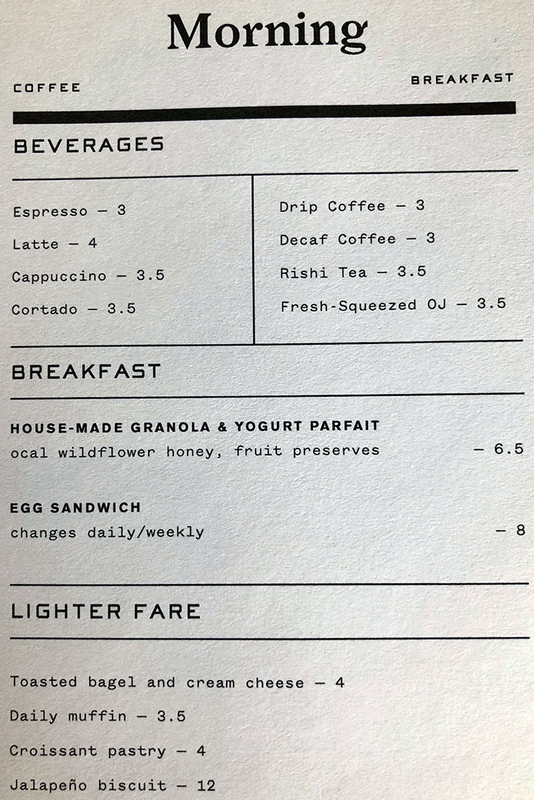 There will also be two signature breakfast options — their granola & yogurt parfait with local wildflower honey and fruit preserves ($6.50) and a rotating specialty egg sandwich ($8). 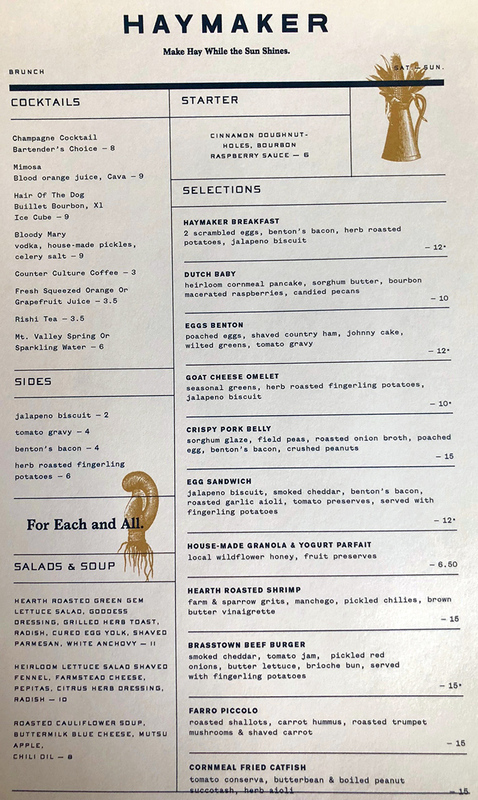 Lunch options include items like roasted cauliflower soup ($8), burger ($15), cornmeal fried catfish ($14) and grilled flat iron steak ($14). 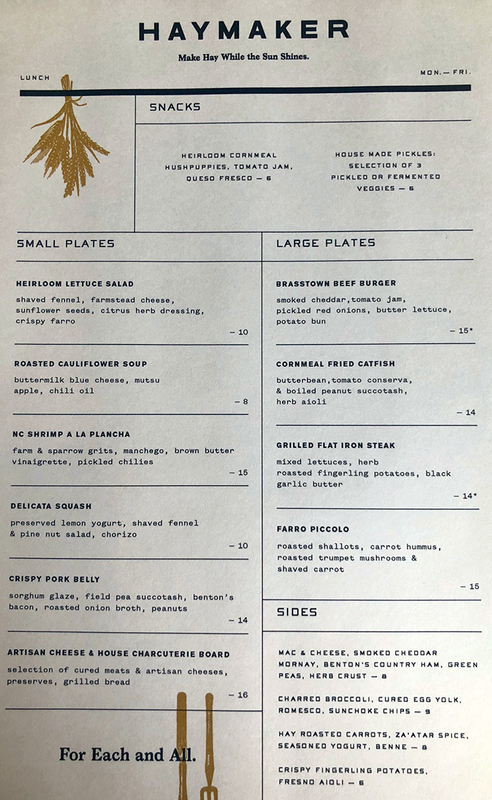 Small plates run $8-$16, the four large plates are either $14 or $15 and sides like mac and cheese and charred broccoli are about $8. 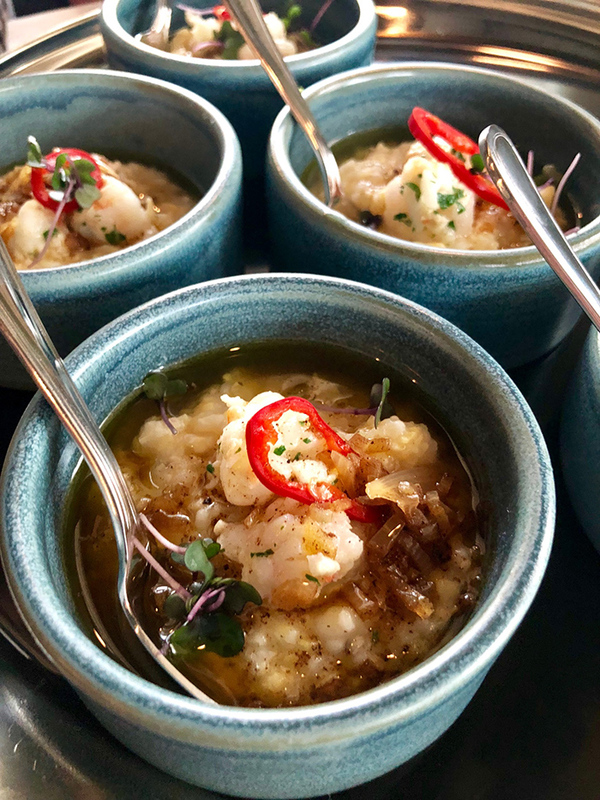 Dinner will feature charcuterie for about $15, small plates like beef tartare and crispy pork belly ranging from $6-$15 and 6 large plates like roasted sheepshead and pan roasted quail from $18 – $32. 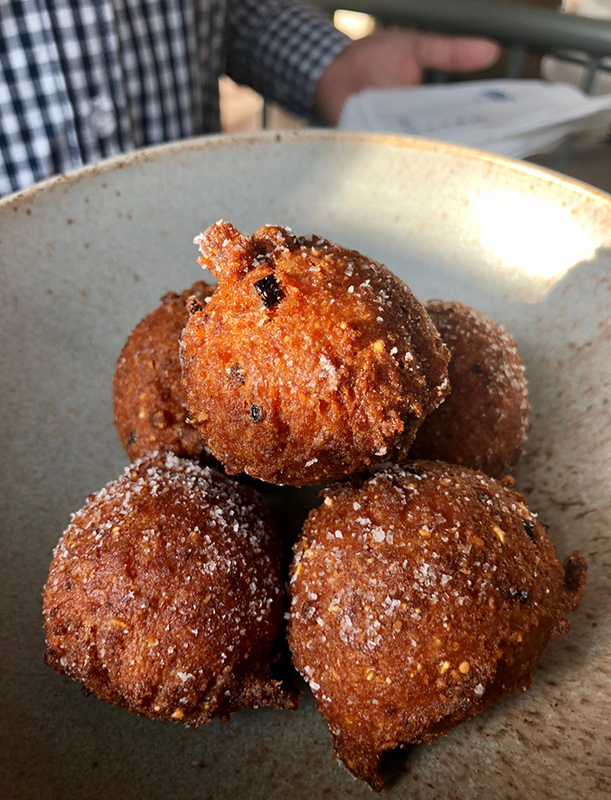 Brunch dishes include everything from cinnamon doughnut holes ($6) to a fancy BEC ($12) to a goat cheese omelet ($10). 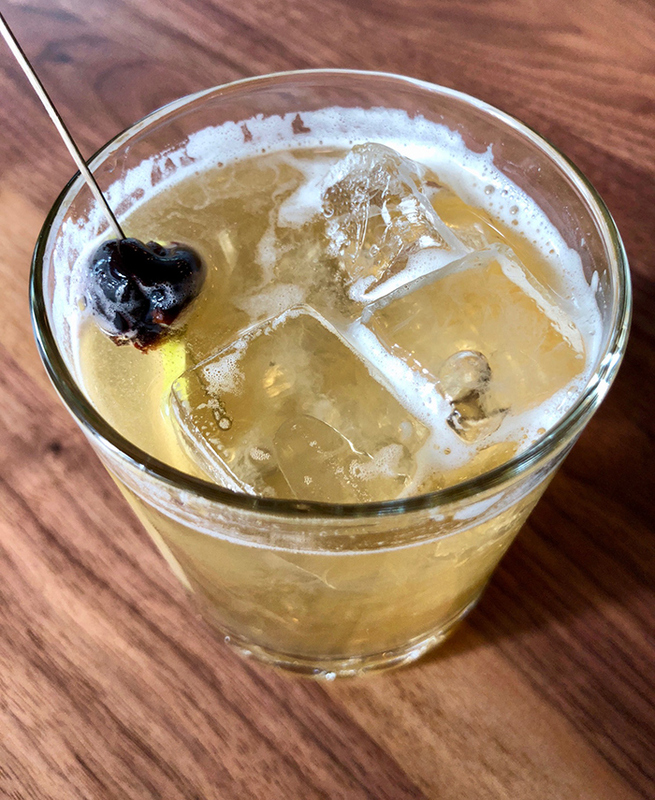 Haymaker will also have classic brunch cocktails around $9. 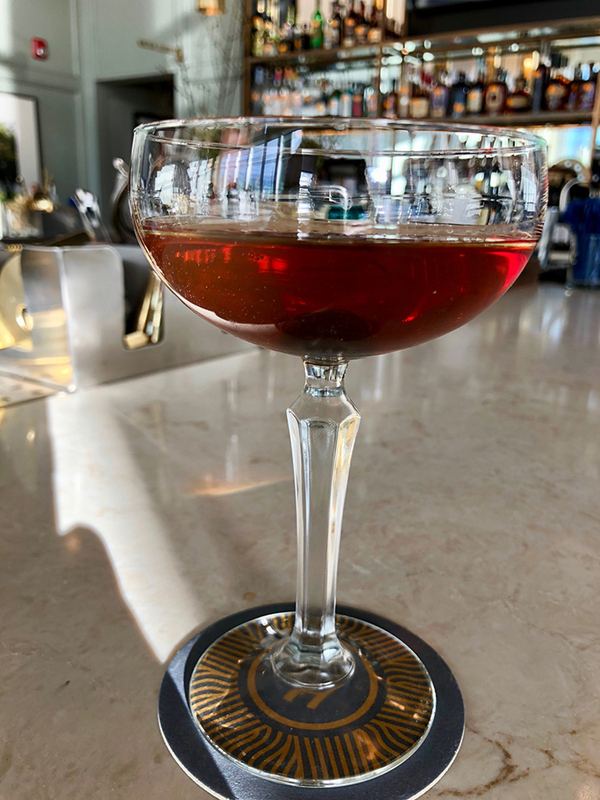 Behind the bar, they’ll have 8 specialty cocktails in the $10 – $12 price range. 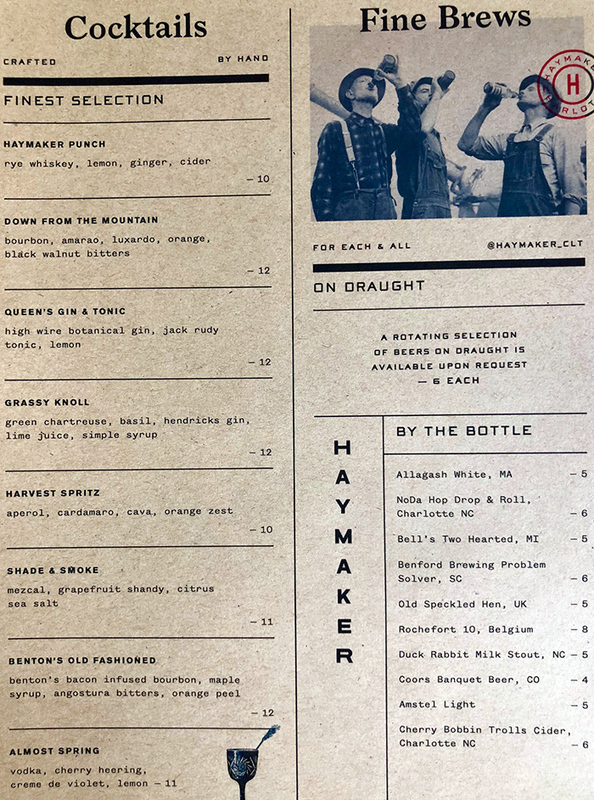 What should you order at Haymaker? 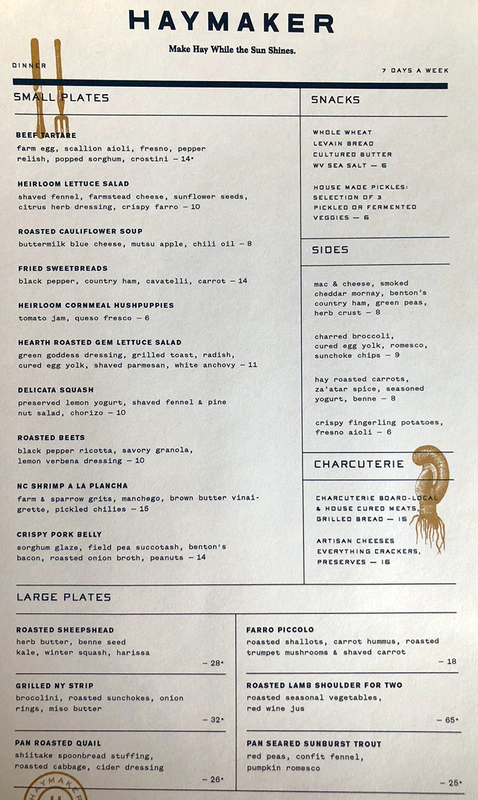 I asked what they think will be their most popular dishes and Chef Dissen replied with these three: roasted lamb shoulder for two, pan seared sunburst trout, and their NC shrimp a la plancha with grits. I went to a media preview last night and was impressed by the space. 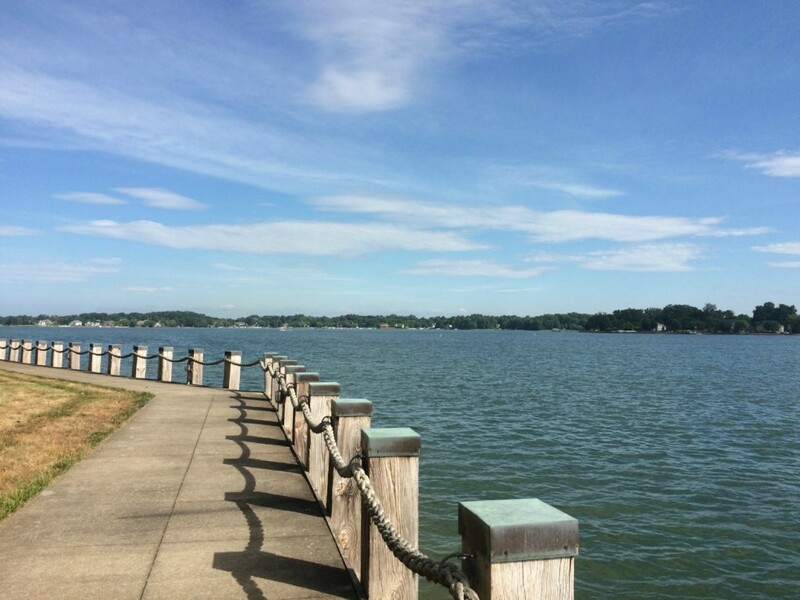 It’s great looking. 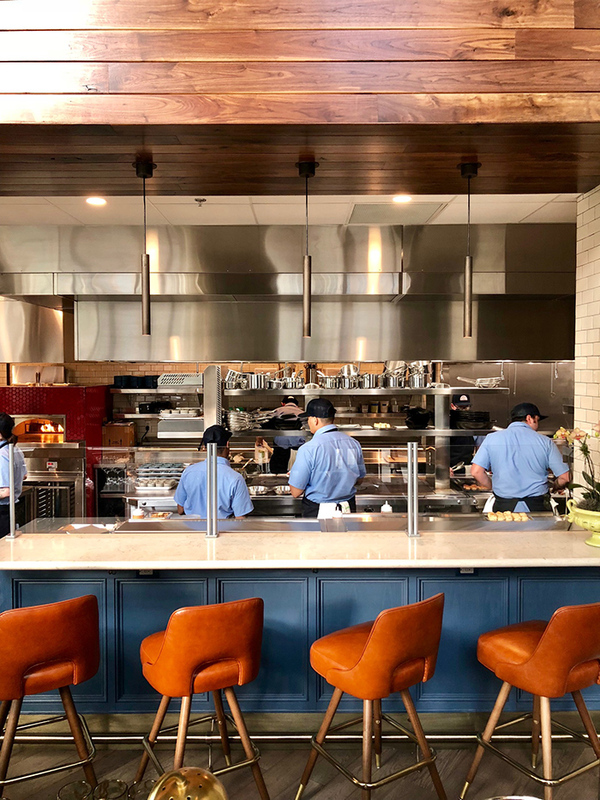 The roughly 4,000-square-foot restaurant features soaring floor-to-ceiling windows, mezzanine level seating and a cool chef’s table overlooking the open kitchen. 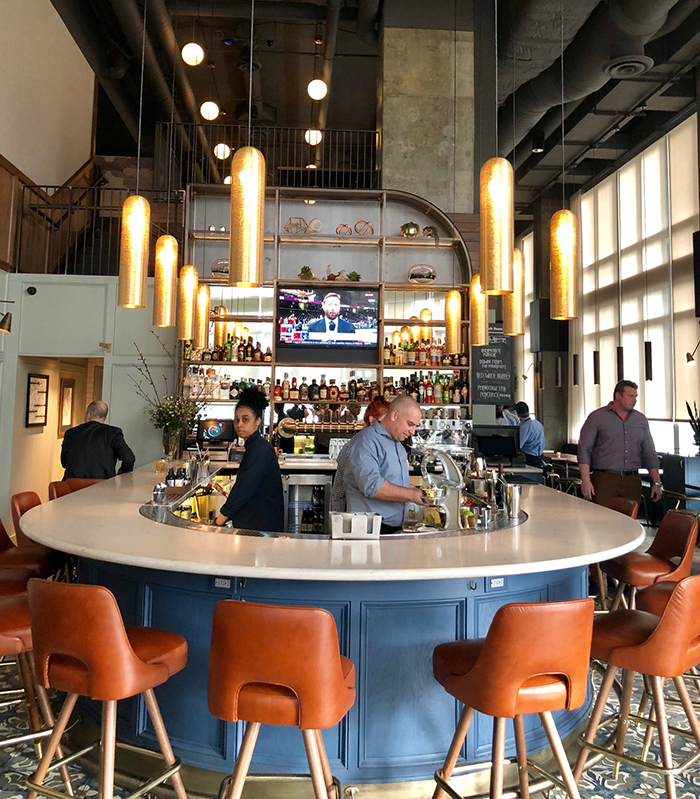 It’ll seat around 150 people — 34 in the bar and lounge, 40 in the main dining room, 45 upstairs on the mezzanine and another 30 or so outside on the patio. Haymaker is targeting a March 26 grand opening.